Connection request from a school. 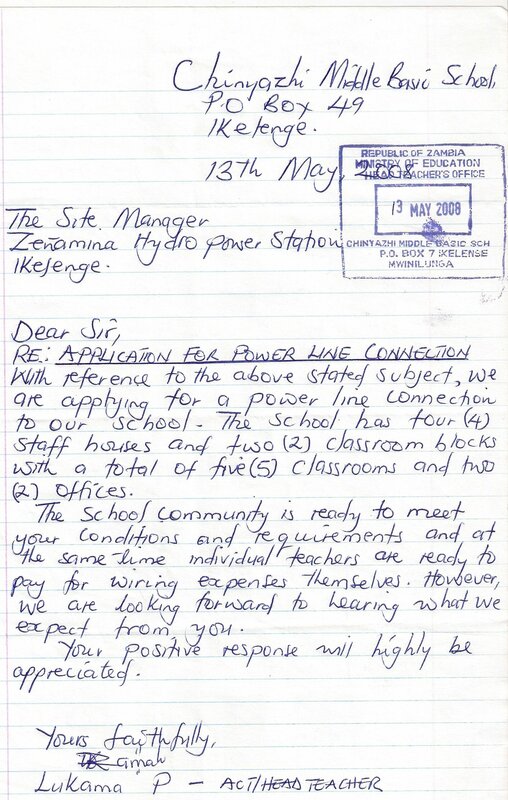 As at the end of January there were 156 users connected to the Zengamina hydro scheme. This is very encouraging and there continues to be enquiries and requests for connections. Approximately 300 connections are needed for the Zengamina hydro to become self sustaining, the exact number depending on the demand of each user.